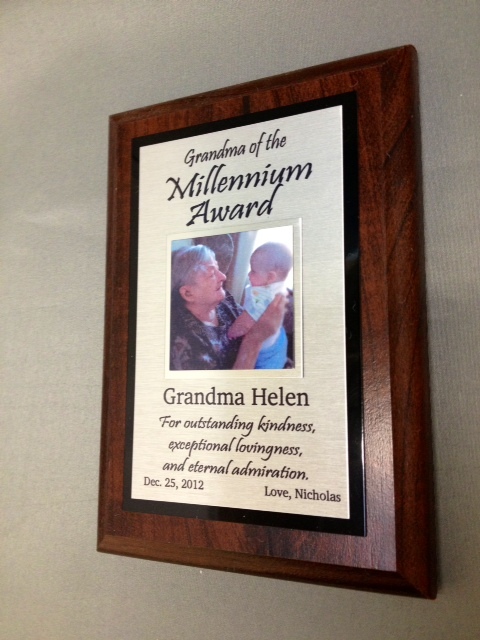 One great gift idea, a fun personalized award for your loved one, friend, or coworker! It can be sweet and sincere or sarcastic and funny! Here at Tag UR It! inc., we can custom make any recognition award you can imagine! Our 4″x6″ sublimated plaque is only $14.50! !